Dr Marc Glöde introduces a new perspective on Polish theatre director Tadeusz Kantor’s work, celebrating what would’ve been his 100th birthday. 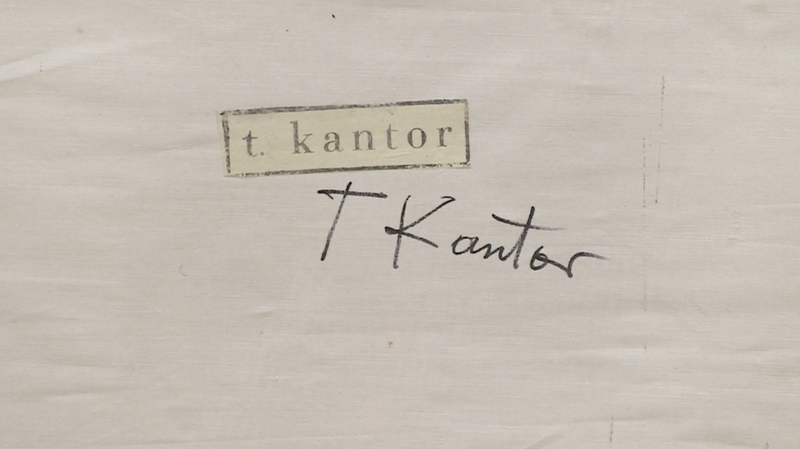 Brought to Summerhall by the Polish Cultural Institute in London and Polnisches Institut Berlin, the exhibition focuses on the early phase of Kantor’s career, highlighting the multi-layered nature of Kantor’s work specifically in the period of 1954-1965. The feature of this exhibition is the rarely shown and long lost film Attention!… Painting, which won the prize for experimental film at the 1958 Venice Film Festival. The exhibition is co-produced by the Polish Cultural Institute in London and the Polnisches Institut Berlin in partnership with Cricoteka, National Museum in Krakow, Museum of Modern Art in Warsaw and Krakow Festival Office and supported by the Culture.pl. Tadeusz Kantor : Inbetween Structures is on in the Lower Church Galleries, Summerhall, until the 4th September 2015. Afterwards, it will travel to Germany to the Polnisches Institut Berlin for Berlin Art Week. Find out more at http://festival15.summerhall.co.uk/exhibition/tadeusz-kantor-inbetween-structures/.